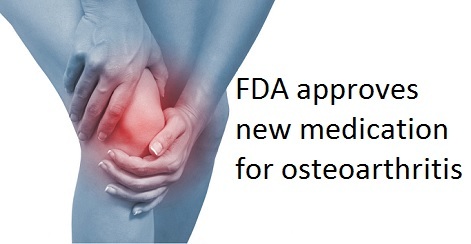 FDA approval of Zorvolex was based on a double-blind placebo-controlled study which enrolled patients ≥ 40 years of age with clinically and radiographically confirmed (Kellgren-Lawrence grade II-III) hip or knee OA. Eligible patients were chronic NSAID and/or acetaminophen (APAP) users with baseline Western Ontario and McMasters Universities Osteoarthritis Index (WOMAC) pain subscale score ≥ 40 mm by visual analog scale and an osteoarthritis flare (≥ 15 mm increase in WOMAC pain subscale score following discontinuation of NSAID/APAP at screening). Zorvolex 35 mg three times a day significantly improved WOMAC pain subscale scores from baseline at 12 weeks compared with placebo. Zorvolex 35 mg bid provided numerical improvement in pain at week 12 compared with placebo. Zorvolexc 35 mg three times a day and 35 mg twice a day improved the average total WOMAC score in treated patients over 12 weeks compared with placebo. The most frequent side effects Zorvolex-treated groups were diarrhea, headache, nausea, and constipation. The inclusion of patients with a documented requirement for analgesic therapy (osteoarthritis ‘flare’) at baseline and the high rates of rescue medication usage in the placebo group may have impacted the study outcome for the Zorvolex treatment groups.